I was asked by Carusele to participate in the #PrideDistilled campaign, sponsored by TILL Vodka. Although I have been compensated, all opinions are my own. 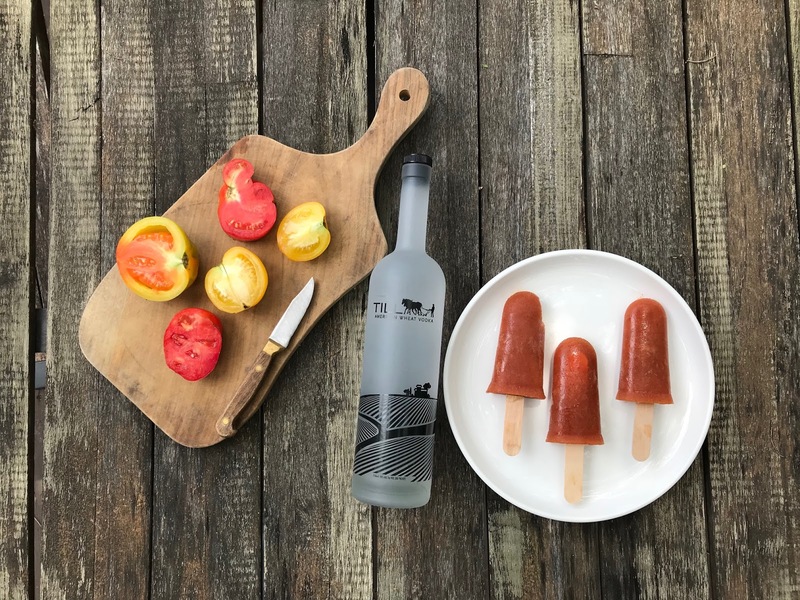 At this point of summer, the heat is scorching, and I think we are all looking for a good way to cool down. I thought I would get a little creative and make a unique farm-to-cocktail experience in the form of adult popsicles. 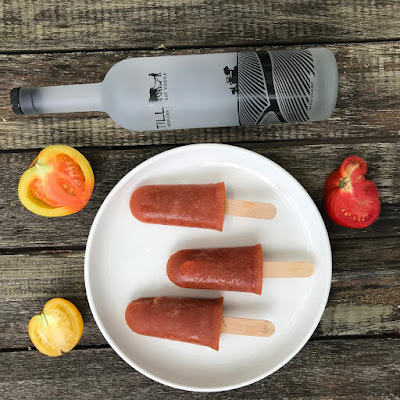 In order to keep the farm-to-cocktail theme authentic and true, I decided to use TILL Vodka in my popsicles. 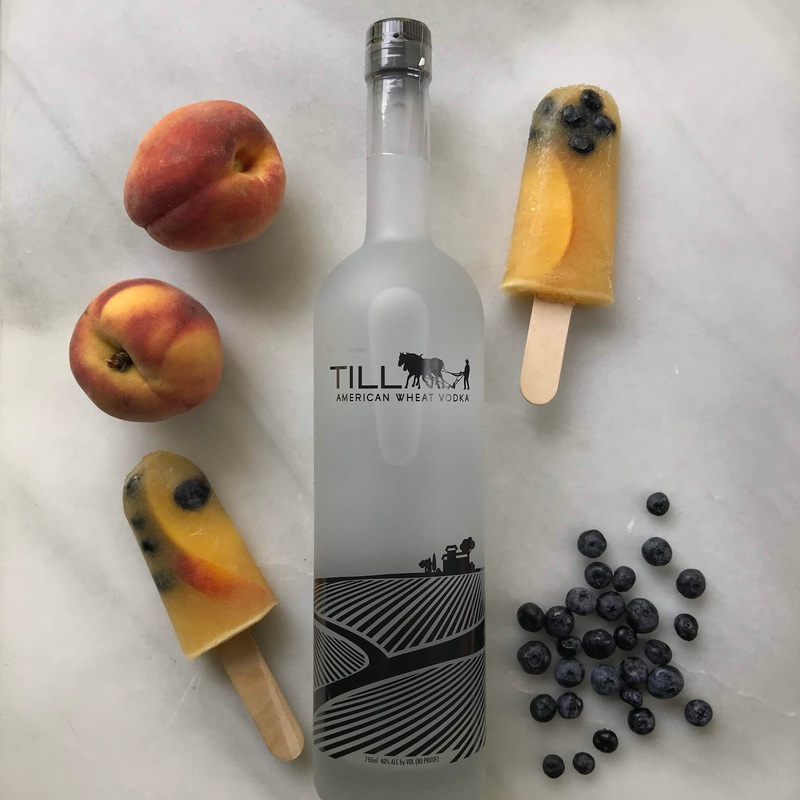 TILL Vodka is a premium spirit crafted and distilled here in the Midwest, that uses the finest local ingredients, like premium Kansas wheat. Whether you use it in the recipes shown below, or craft your own cocktails with it, you will notice its crisp smooth finish that will make you proud to serve it to your friends and family. 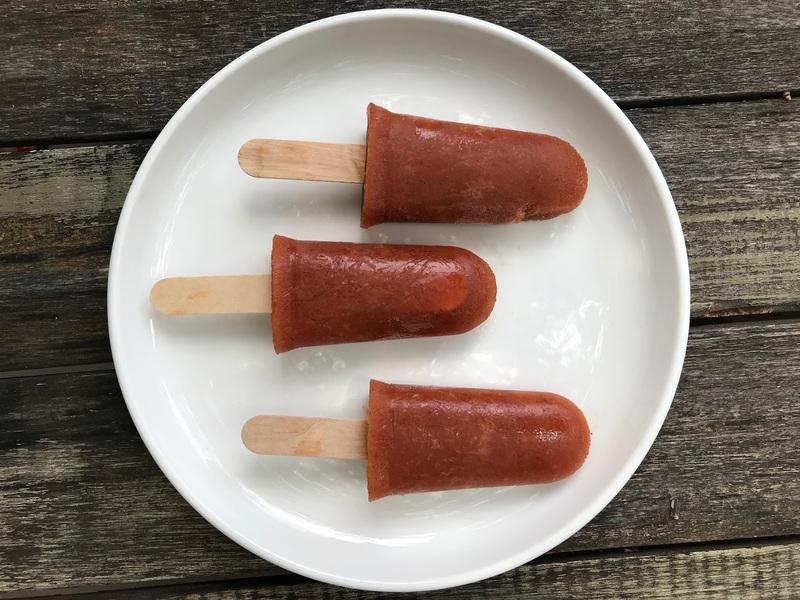 For this recipe, I used seasonal fruits and vegetables purchased from my local farmers market. I stopped by the Green City Market and Wicker Park Farmers Market where I found farm fresh peaches and blueberries from Mick Klug Farms and tomatoes from Nichols Farm. Combine the water, TILL Vodka, peaches, honey, lemon juice in the blender and puree until smooth. Pour the mixture into the popsicle molds, add blueberries and peach slices and freeze for about 1 hour. 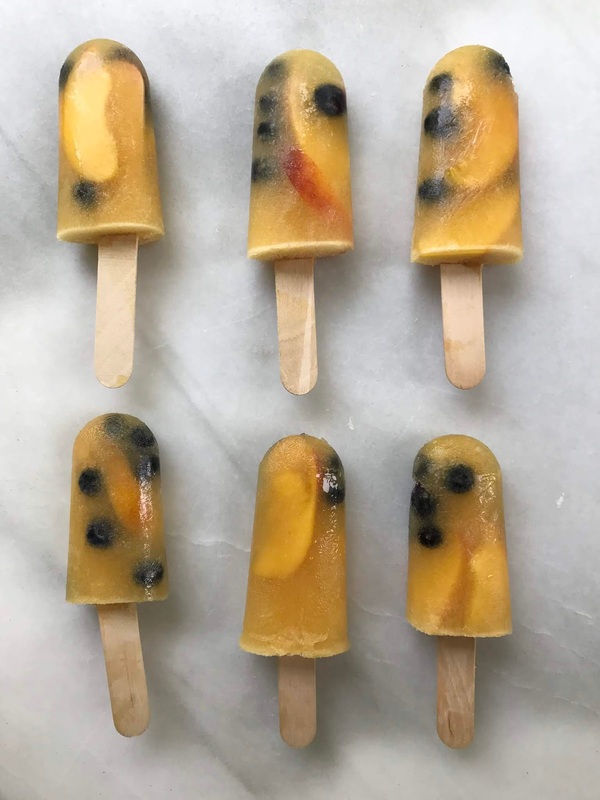 Add the popsicle sticks to the molds, return to the freezer for an additional 6 hours or overnight. Puree the tomatoes in a blender until smooth, about 1 minute. Strain the puree through a fine-mesh strainer into a bowl and discard the solids. Stir in the TILL vodka, lemon juices and horseradish. Add the hot sauce and season with salt and pepper. 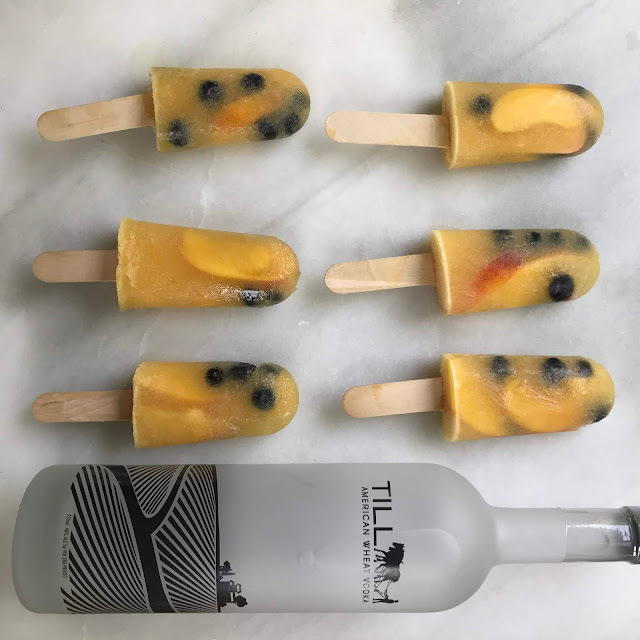 Pour the mixture into the popsicles molds and freeze for about 1 hour.